Wow, so it’s been a whole 20 months since I last wrote a blogpost. During which time I’ve had a baby (now a mischievous 10-month-old), extended my house, become a twit(terer) and kept on trucking with my PhD which I’m now in the third year of. So I thought I’d ease myself back into blogging by writing about an event I took part in last November. 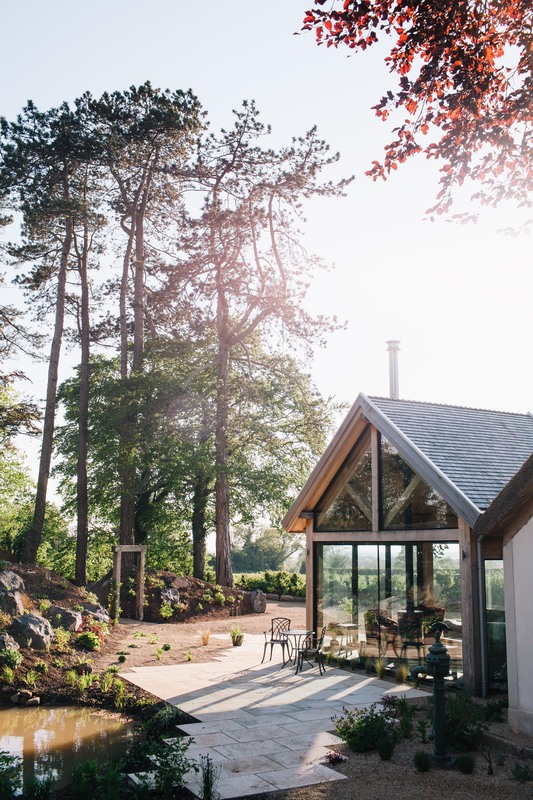 You may have read about the heated debate/uproar that ensued last year when former RIBA President Angela Brady forwarded a motion to recommend that the Israeli Association of Architects be suspended from the International Association of Architects (more here). Well, in response to this, RIBA Vice-president International Peter Oborn arranged with Professor Ruth Morrow from Architecture at QUB to pay a visit to Northern Ireland to learn about current approaches being taken here and to consider the question: ‘Is it appropriate for the institute (RIBA) to engage with communities facing civil conflict and/or natural disaster and, if so, how it can do so most effectively?’ Along with a tour of Belfast, a visit to the protest camp on Twaddell Avenue, and other meetings, Ruth organised an event in the Institute for the Study of Conflict Transformation and Social Justice at QUB, at which she asked myself and Paul Bower to briefly present our PhD research before a round-table discussion among local practicing architects. This is a version of the write-up prepared for the publication about the day, compiled by PhD Student Timothy Waddell, which you can view online here. I presented some thoughts that are emerging from the Israel/Palestine aspect of my research. Identifying architecture as shaped by political and social dynamics, I used examples from my empirical research to talk through three conceptual directions which architects take in divided and contested contexts. They can either: (i) (problematically) see the shaping of space as apolitical; (ii) see it as political but think architecture/architects can provide simple solutions; or (iii) acknowledge the political nature of the shaping of space but also recognise its social dimension and complexity, exploring what it is to be an architect and be politically and ethically engaged. 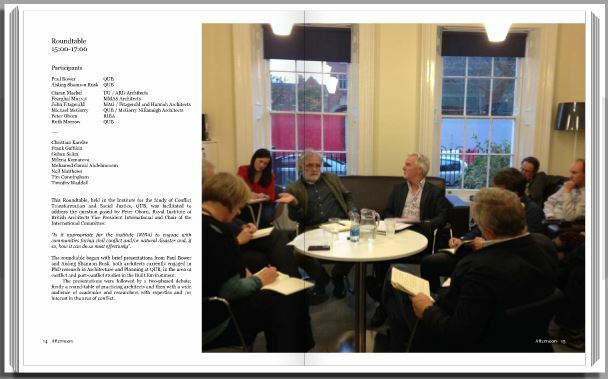 Examples I gave of the latter include, inter alia, architects engaged in communal learning, with residents, about representations of West Bank refugee camps; those using heritage as an indirect form of political resistance; and others who take a human rights approach to planning activism. I finished with a quote from Michel Foucault, which I keep returning to as I find it both hopeful and grounding: ‘I think that [architecture] can and does produce positive effects when the liberating intentions of the architect coincide with the real practice of people in the exercise of their freedom.’ (Rabinow (ed), The Foucault Reader,p.246) The round-table conversation that ensued was wide-ranging, thought-provoking, and most certainly non-conclusive, with opinions split over the degree to which architecture can/should seek to be political, and the appropriateness of the RIBA, as the professional body of UK architects, taking positions on such matters internationally. As for me, in response to the question from RIBA, I think there are questions we might want to ask about how we avoid just taking steps to influence what happens in places of conflict, which could raise post-colonial questions, but also reflect on how, in engaging with these places, we could also learn from them, to influence our own practice in other, less contested places. Well that’s me back in the blogosphere. I can’t promise I’ll be writing frequently, but I’ll do my best to knock out the occasional update. 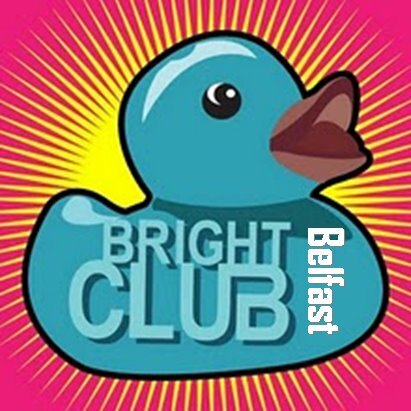 The first time I ever heard of Bright Club was when I received an email from its Belfast organiser, Niamh Scullion, asking me to speak at its most recent event, on the theme of ‘The City’. I said yes and then spent several weeks wondering what on earth I’d let myself in for, and why?!?! 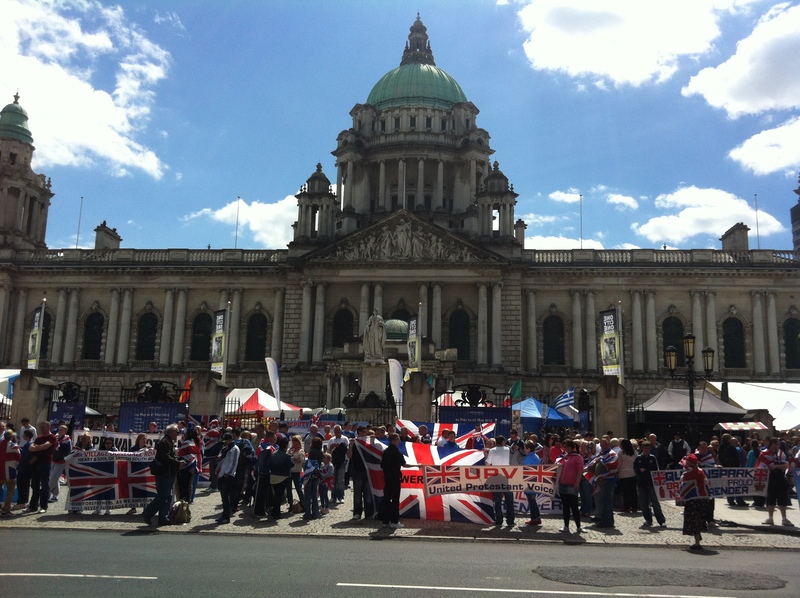 The sun was out in Belfast at the weekend, and with it the masses. I took a few (iphone) snaps on Saturday at Belfast City Hall, where Union-Jack-emblazoned protestors soundlessly demonstrated at the front entrance gates, to the seeming indifference of all but themselves, while behind them the Spring Continental Market obliviously hustled and bustled inside the grounds, with stalls selling plants, soaps, candles and all sorts of exotic foods, arranged around tents filled with beer and wine and those consuming them. And Pimm’s, of course. Some of you may have wondered where the title of this blog comes from. It does not (necessarily) refer to angels of the sculpted stone variety. Paul Simon’s Graceland album was one of the soundtracks to my youth, played in the car on family holidays and later, when I learned to drive myself and would sing along loudly to my heart’s content. I loved the cheerful quirky lyrics and bass guitar riffs coupled with the rhythmic harmonies provided by South African musicians including Ladysmith Black Mumbazo. It’s music that makes you feel good and it easily remains my favourite album of all time. And all of that before I knew anything of the fascinating story behind the making of the album. Then last year I went to see a screening of Under African Skies in the Black Box in Belfast. This documentary film combines footage from the original making of the Graceland album in 1984 with recent footage of Simon’s return to South Africa for a 25 year reunion tour.